When we set out on this adventure we were happy to put the Baja Peninsula behind us at the get go. It is so desolate with only a few stops available that we were happy to get it over with and continue our way south. And we certainly never wanted to bash back up North. Wind right on the nose and waves crashing over the bow, oh joy. Well Sean Connery said he never wanted to do another James Bond and well, we all know how that went. Which brings me to our current plans. 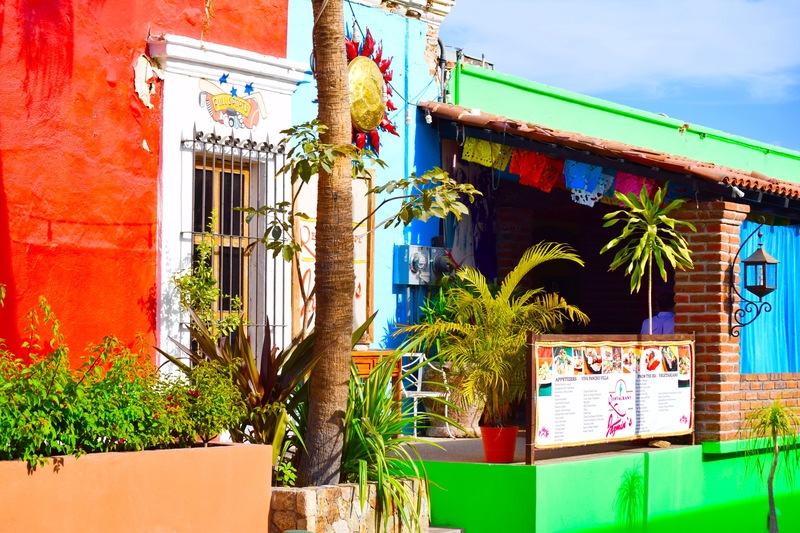 We are bashing back up the Baja Peninsula to spend summer in Ensenada, Mexico and then will turn around and come right back down in the fall. Why you ask, would we do such a damn fool thing? Well we think we have some pretty valid reasons for making this decision. We decided some months back that with all there is to see in Mexico, we really needed to spend another cruising season here. Once that decision was made our next concern was what to do about hurricane season, which runs June 1 – October 31. 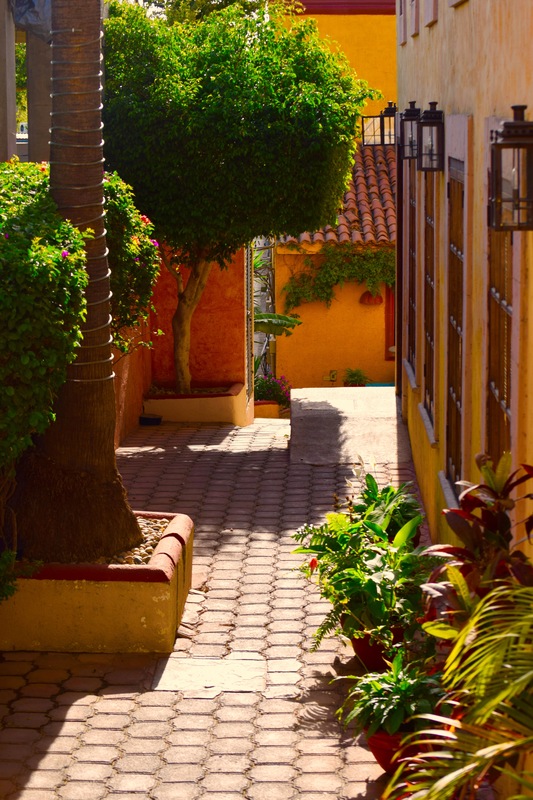 One option was to find a safe hurricane hole to put Sereno II and rent a local apartment for us during the hottest months or install a cheap window air conditioner in Sereno II to hibernate in while it is a balmy 120 degrees outside. I think not! Our other option was to get out of hurricane zone. Since we had only four months to get the boat ready before we started this adventure, there are some things we want to do to prepare the boat before continuing south. So it made the most sense for us to spend the summer in Ensenada. We can get to San Diego easily enough by bus or take the boat up for a few weeks to get large items (kayaks!). Plus the climate in Ensenada mirrors San Diego, allowing us to stay on the boat and actually spend time outdoors. We can consider this year our shakedown cruise. Most people take their boat out to someplace like Catalina Island for that. No, we go half way down the freaking Mexico mainland for our shakedown cruise. The plan is to leave La Paz on Tuesday and anchor in Muertos Cove for one or two days depending if we like the local cantina. We will then sail around to Los Frailes for a night before heading to the marina at San Jose del Cabo. The waiting begins for a 2-3 day weather window for us to round the dreaded Cabo Falso at the very tip of Baja and make our way to Magdalena Bay or on to Turtle Bay if the weather is looking good and we can both stay awake during our watch. 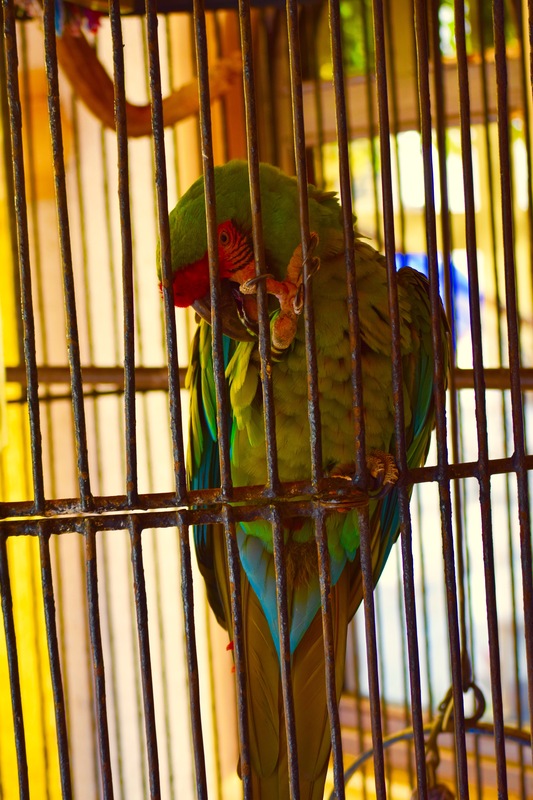 In Turtle Bay we fuel up, get some shut eye and once we have another 2-3 day weather window will sail on to Ensenada. Sounds easy without all the scary details lol. But all plans are written in the sand at low tide so any number of things could occur that would cause us to totally change our minds and hightail it off to the hurricane hole in Puerto Vallarta for the summer. We always have a backup plan. When Austin was in grammar school he let us know that his plans were to go to college. He was always interested in science and so we nodded our heads and said ‘great plans’. Because of course, as parents, that was our goal for him. He carried that dream through middle school and high school and while baseball pulled him in that direction, he eventually made the adult decision to concentrate on his academic dreams. 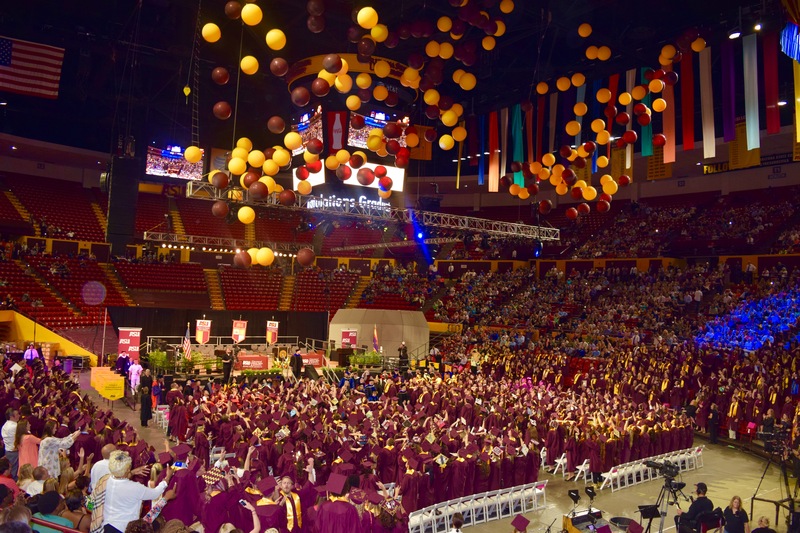 This last week we had the ‘honor’ of attending Austin’s graduation from Arizona State University with a degree in microbiology. We could not be prouder of his accomplishments and can’t wait to see what the next chapter has in store for him. What a way to end a ceremony! This was the second smaller ceremony with just his group. The larger ceremony the night before ended in fireworks. 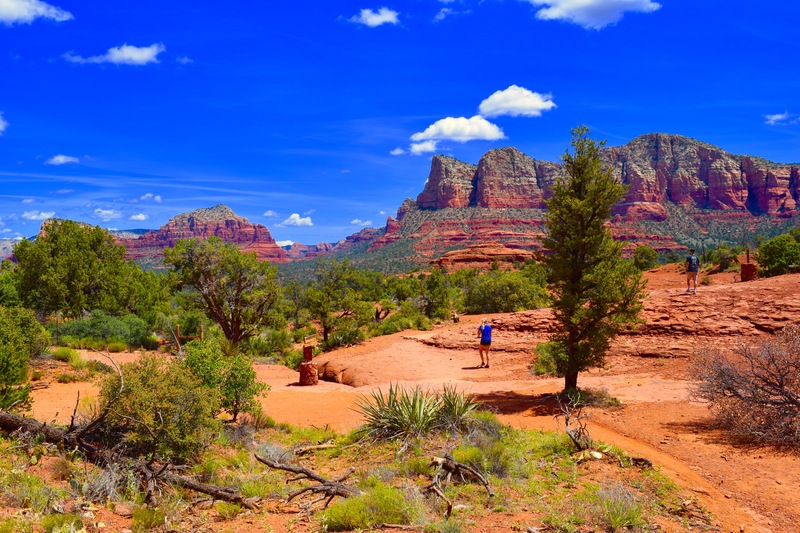 Food, drink, a hike in Sedona and good conversation filled our vacation in Arizona. Austin had a list of restaurants he wanted to take us to and we hit every one of them and then some. He even made a steak dinner for us on Mother’s Day! For the second time we stayed at Hotel Valley Ho in Scottsdale. A king size bed and long showers woo hoo! Originally built in 1956, it has a mid-century design and was the first hotel in Scottsdale to have central air conditioning. A few of the celebrities who visited Hotel Valley Ho included Bing Crosby, Tony Curtis, and Janet Leigh. Robert Wagner and Natalie Wood had their 1957 wedding reception in the hotel ballroom. But just like that, us and our overstuffed bags were on our way back to the boat. We bought some much needed clothes, over 20 movies and a few boat parts. Wish we could have brought back some Four Peaks craft beer! Sedona has been on my list of places to visit and it did not disappoint! Who doesn’t remember Randy Quaid in Christmas Vacation standing in his bathrobe smoking a stoogy announcing that the ‘shitter was full’ while a toxic glow is emanating from the sewer. Major events are always a series of events. One item on our list of things to do before leaving the boat for Arizona was to have the waste tank pumped out. As luck would have it, the machine on our dock was not working. Ok not happy but not a major deal until the morning of our departure. Gary took a look into the stern head and noticed that it was unusually full. Hmm had Cindy used it and forgot to flush?! NOT! The modern cruising yacht is a very complex and technologically advanced machine. Much more advanced then the average home. Computer navigation, multiple GPS devices, solar panels and controllers, water makers, wifi, radios, satellite communications, weather receivers, auto pilots, generators, freezers and refrigeration. In addition, water and waste must be stored onboard and this requires many pumps and valves not required in a normal home. Gravity on a sailboat doesn’t play as big a role on a boat as it does in your home. Pressure values in the heads keep waste in the tank and out of the hoses connected to the toilets. So what happened? Two hours before departure we stood there watching waste water filling up the stern toilet. We suspected that the pressure valve was malfunctioning. Okay, if we used the Shop Vac to pull waste out of the hose, it should stabilize and stop leaking in to the bowl. Sounds logical right? NOT! Several attempts at this did not work. One hour left until we needed to leave. Frantically looking for a solution the dock hand mentioned the pump-out two docks away was working. Why did he not mention this earlier?!! Quickly start the engine, untie the lines and we left the dock quicker then we ever have before to meet up with the dockhand who quickly took care of the smelly situation. The cross winds were up and it took 4 dock hands to help us back in to our slip. Luckily I had a list of all the last minute things to do before leaving the boat so all we had to do was calmly go through the items and lock up the hatch! I opened Facebook the other day and a 1 year memory post popped up with a picture of me toasting the day I retired. One year already?! It got me thinking about all the changes. My hair is now sun bleached and we both have killer tans. Our living space is smaller than an average apartment. Home can be anchored off a beautiful beach, a rolly anchorage, or docked at a Mexican resort. Laundry is sometimes a half mile walk so wearing the same shorts a few days in a row is the norm. We buy only what groceries we can both carry back to the boat and fit in to our small refrigerator. We eat out more often because it is relatively cheap and way more fun than cooking on a small stove. Our old brains are learning Spanish very slowly. Looking back, after the trauma of selling off all our possessions, the transition to life on a boat has been fairly easy. I’m still way out of my comfort zone with the sailing part, but I’m working on it. But for right now, our tourists visa’s are up and we are heading out of Dodge. 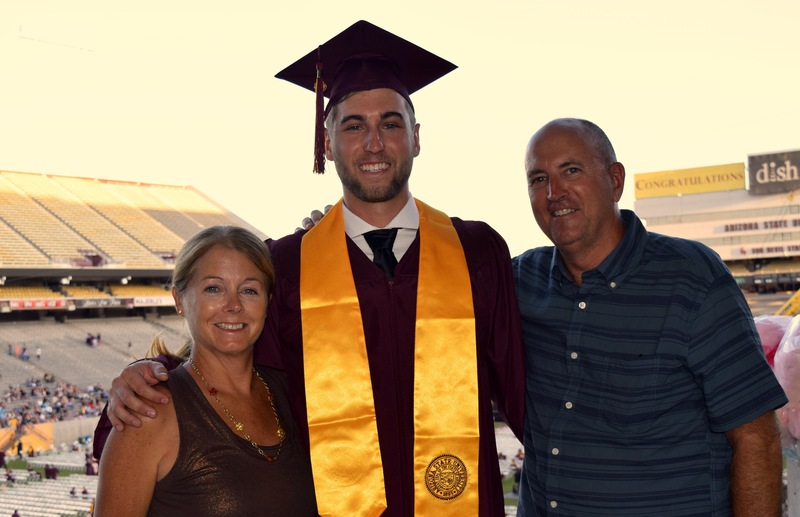 Lucky for us, the end of our 180 day limit in Mexico coincides with Austin’s graduation from Arizona State University. So on May 4th we begin our trek to Arizona. It will take us two days to get there but that is only to reduce my stress. The airport is three hours away by bus and you know all those scenarios that run through your head. What happens if the bus gets a flat tire or breaks down, a major traffic jam (strike that this is Baja not LA Lol) etc, etc. 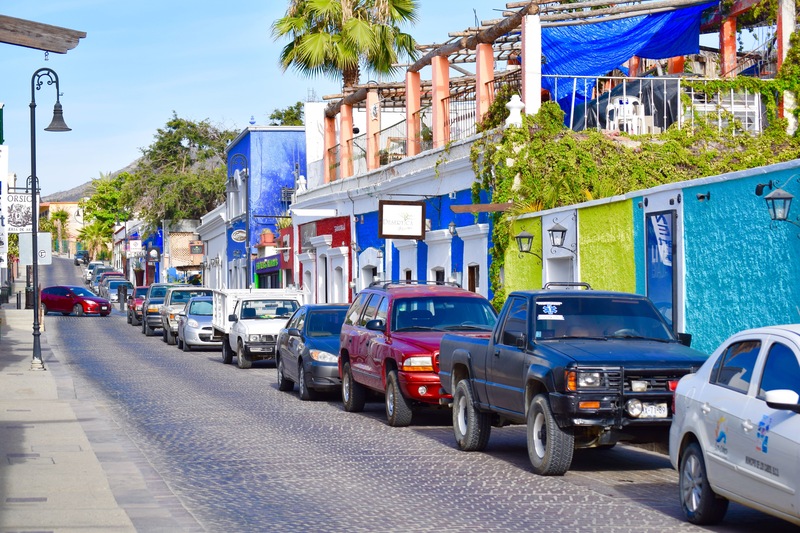 So instead of crazed Cindy, we will enjoy a nice evening in San Jose Del Cabo with a short cab ride to the airport the next day. Can not wait to see Austin and Oakley!